You must be a member of the Panama City Changemakers Group to attend this activity. Would you like to join this group? 👉🏽 Please note: this is a preliminary meeting, read the description. Our city can use some help in improving recycling programs, by publicising the importance of this simple way to help the environment and making it easier for those that wish recycle. 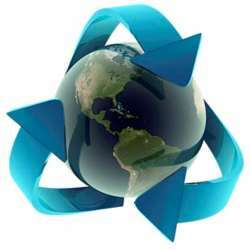 Do you have knowledge of recycling programs in Panama? Do you have experience in networking, social media, property management, marketing, community organising, web design, fundraising, direct mailing, telemarketing, graphic design, or other valuable skills that would be helpful in promoting or creating recycling programs? If you do, then come to this preliminary brainstorming meeting and offer your ideas! It would be helpful for those that sign up for this meeting to post a comment on the event page detailing your area(s) of expertise or knowledge, to make the meeting more focused, organised, and productive.